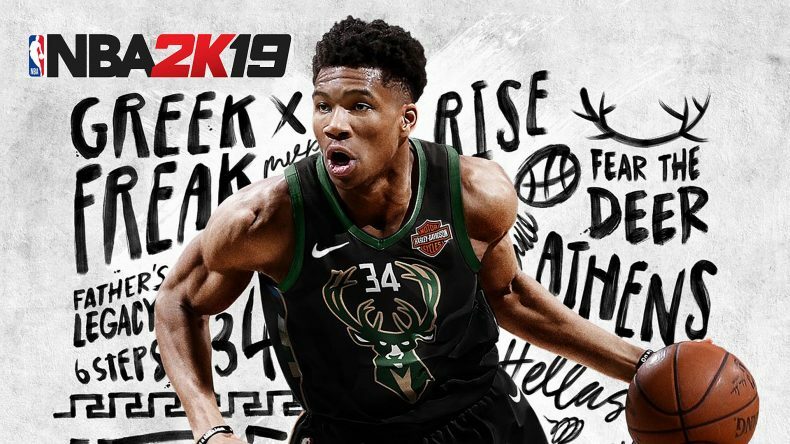 We’re at a point now where no matter which developer comes out with a new basketball game, nobody is going to topple 2K Sports yearly offerings. Although that’s the case, if you’re going to be the best it’s still vital that many of the familiar concerns are ironed out, and NBA 2K19 has managed to eradicate some of the issues faced in last year’s offering, such as a much better story in the MyCareer mode, better defending, and more responsive shooting. Unfortunately, microtransactions still harbour progression, and trying to get a game online is as painful as it ever has been. Playing basketball is even better than last year, featuring plenty of improvements to make it a much more rounded experience. Defending in last year’s game was tricky when the opposition was using the right stick to handle the ball, allowing them to drive past you with the right touch. It takes a lot more to break away from defenders in NBA 2K19, requiring more awareness of other players and finding the opportunity to dish to an unguarded teammate. Stealing has also had an overhaul, with a gauge appearing to indicate an opponents vulnerability when in possession. The Takeover system is a brand new feature aimed at giving the outstanding performers dominance after a successful run of good plays. If one of your players is on a scoring streak, making assists and getting rebounds, they’ll enter a “he’s on fire” type scenario akin to NBA Jam, where for a limited time their stats are increased and performance is enhanced. 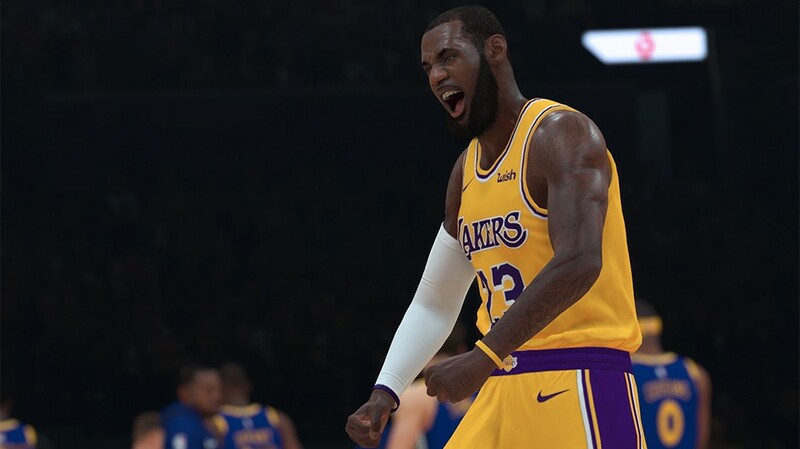 This allows the LeBron James scenarios of the 2017-18 season to come to fruition in NBA 2K19, making the momentum in games shift and bless you with an advantage. Shooting feels more responsive this year, and with the shot meter now appearing when making layups, you’ll find that missing the easy shots is a thing of the past. My biggest concern with the last few years’ MyCareer mode has been the horrendous storylines. Clichéd characters, obvious revelations, and predictable outcomes did nothing but put me off progressing, but thankfully The Way Back is so much better. Focusing on a player who dreams of playing in the NBA, you’re forced to take a tough road to the top. Starting off in China playing for the Shangai Bears and trading to the G League (an NBA training ground of sorts), you’ll witness the struggles of A.I. (yeah, that’s his name) as he tries his damnedest to become a star. Characters like Nikki, a reporter with whom A.I. falls in love with, to Marcus Young, a rival and fellow teammate on the Fort Wayne Mad Ants, you’re engrossed in their lives and how they affect A.I. along the way. Right until you finally sign with an NBA team, you’ll leave The Prelude with a much higher admiration for 2K Sports’ attempt this year. As for The Neigborhood – the hub for where you’ll earn yourself Virtual Currency and subsequently spend it – it’s much bigger, or more spacious, offering new stuff to do and plenty of ways to earn (and spend) your VC. There are two main problems here; firstly, trying to get a match on the street courts is excruciating. Waiting on the sidelines while watching the current match unfold is fine, but waiting for others to join from the server you’re on seldom happens, and instead of just loading a menu and waiting for available players in the world to join, you’re constricted to only a handful. Load times as a whole last for a long time, whether you’re waiting for a game of street ball, trying to get into the Jordan Rec Facility, or looking to buy some new gear. Secondly, VC still trickles in slowly. Even though you earn it at a much faster rate, it’ll take a while before your players stats are built up, translating to constant drubbings online or in an actual career match inside the NBA. Trainers, jerseys, haircuts, tattoos, and challenges consume a fair amount of VC, making sure you’re grinding constantly to earn more. There is the option to spend real money for heaps of the stuff, but that’s not realistic or fair. 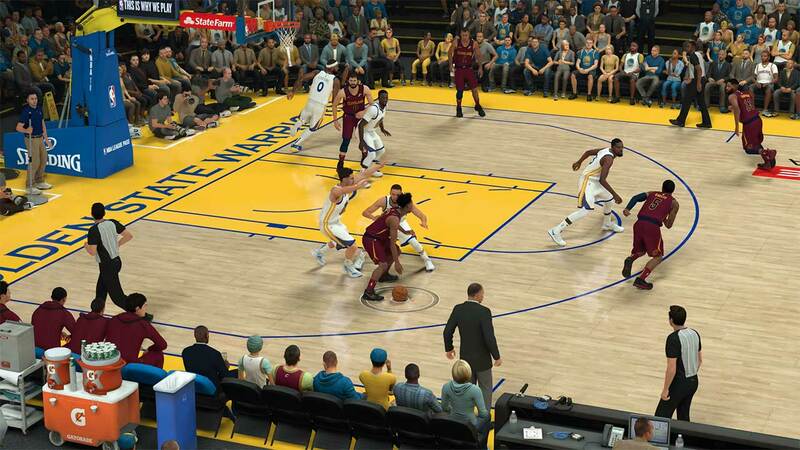 There are plenty of modes outside MyCareer to get stuck into, the best being MyLeague. It’s devoid of the need to spend Virtual Currency, instead giving you the option to play as any league in the NBA for a total of 80 seasons, controlling every aspect of how things are ran. MyTeam is 2K’s take on Ultimate Team, but unless you’ve got the money to buy packs of cards you’ll rarely have the opportunity to succeed amongst those that’ll gladly throw away cash to get the higher tier of card packs. MyGm is back as well, carrying on from last year’s outing where your created star is injured and forced into management. It’s a relatively decent mode, but I still can’t enjoy as much as MyLeague due to the amount of banal text you’re forced to read through in its visual novel type moments. 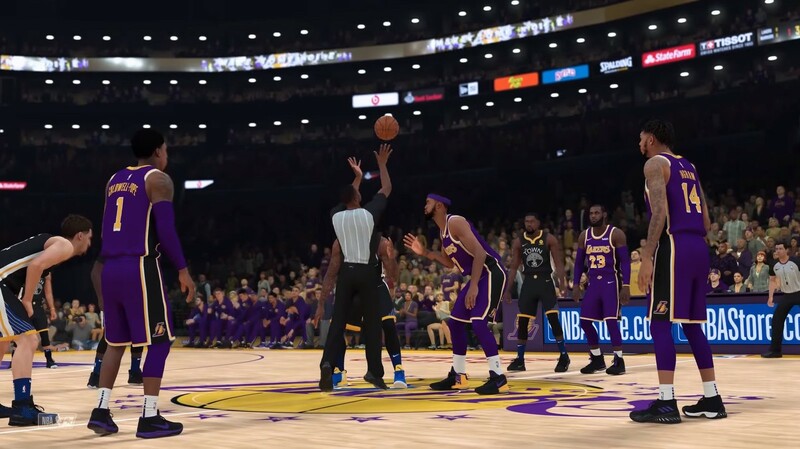 NBA 2K19 is a much better experience on the court, with players who’re known for specific traits to copy the in the game. Guys like Joel Embiid with be strong inside the paint, and defensive stars like Kawhi Leonard will always cause a problem for you when trying to score a basket. Kyrie Irving handles the ball superbly, and familiar shots like LeBron James’ fadaway jumper are magical to watch. Visual Concepts has once again nailed the authenticity of both players on the court and the general presentation of the NBA spectacle, even though Charles Barkley’s absence from the pre-game shows is still a mystery. Load times are still hindering online games and during MyCareer, and there were still plenty of visual glitches 2K Sports has supposed to have gotten rid of, like the time JJ Reddick walked through the basketball post, or the referee’s head appeared through the shoulder of Marcus Morris; also, why does Brad Stevens and many of the coaches look so different from their real-life counterparts? It’s such a shame when the overall presentation and visuals are better than most sports game on the market. NBA 2K19 is a case of two steps forward and one step back. The gameplay is much improved and The Way Back seems to have taken inspiration from Madden NFL 18’s wonderfully written Longshot, but VC and microtransactions still loom over everything, and load times are as much of a hindrance as they’ve ever been. There’s a lot to love, but a lot to despair of, and yet I still can’t stop myself from playing. NBA 2K19 is a joy to play, but with progression in MyCareer often halted due to lack of VC, you have to wonder why 2K wants you to struggle to progress, especially after last year's concerns.